Raila Odinga has finally added his voice to the high-profile arrest of Deputy Chief Justice Philomena Mwilu, who was arrested on Tuesday over graft allegations and abuse of office. Speaking in an exclusive interview with the Voice of America Swahili service, the opposition leader called for patience amongst Kenyans as DPP Noordin Haji makes his case for why DCJ Mwilu should be prosecuted. Mr Odinga also cautioned those reading malice in the arrest of Philomena Mwilu not to rush into conclusions. “If somebody is arrested and charged, there should be enough evidence that will satisfy the public to avoid allegations that the person is being persecuted. “I have said that people should be patient. 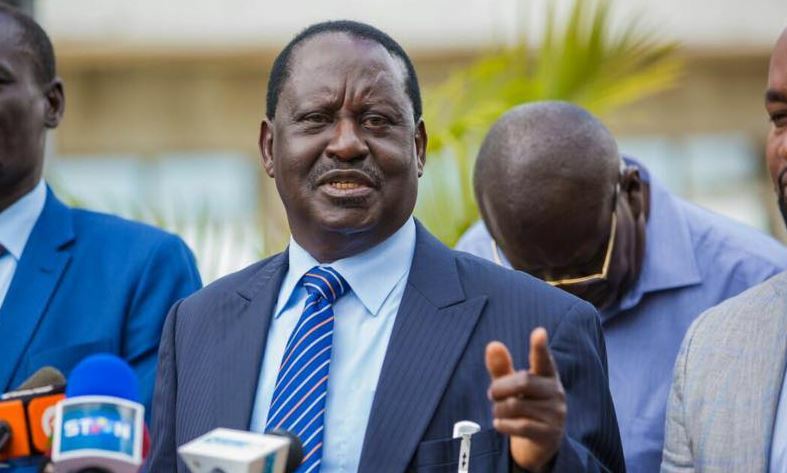 We should wait and see what evidence the director of public prosecutions has… I would advise that we exercise patience because patience brings blessings,” Odinga is quoted saying. The ODM leader was speaking from Germany on Thursday. He maintained that he fully supports President Uhuru’s corruption purge. Odinga’s remarks are a sharp contrast to an official statement from his Party’s secretary-general Edwin Sifuna who read malice in Mwilu’s arrest. In the statement on Tuesday, Sifuna said the party wishes to remind DPP Noordin Haji not to open his office to manipulation especially by state and non-state actors. He said they are giving the DPP the benefit of doubt but the “signs are troubling”.